This artist just beat out Tom Petty, Marilyn Manson, Kane Brown, Gwen Stefani, and everyone else to top the US iTunes store. 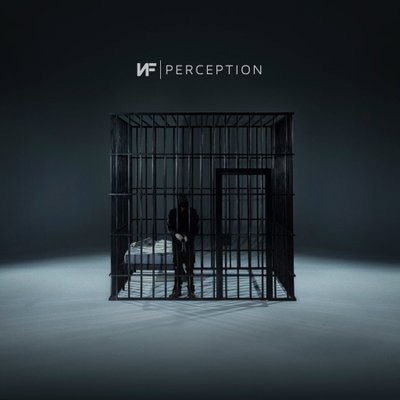 NF, Nate Feuerstein, released his highly anticipated third LP, Perception.This project marks three full-length albums in three years, and each album has increased in sales and mainstream acclaim. You may have heard his songs on ESPN, VH1, and NBC (Chicago PD, Shades of Blue) or from Maddon NFL 16. NF is well-known for his aggressive and honest style, and he receives praise for his emotionally vulnerable songs. With most of the popular hip-hop artists sounding more and more similar, trap and mumble rap, NF has provided both long-time and new hip-hop listeners to a unique voice. His influence and impact in the music scene is growing with each and every song. I first heard NF’s single “Intro,” which touted his passion, lyrical prowess, and his storytelling. This song captured my interest, but my fandom grew with every song. After immediately diving into Mansion, his debut LP, I discovered a connection to an artist that I had been missing in hip-hop for years. NF typically dives into a wide range of topics, and he usually creates music centered on personal issues or stories. Some common topics include overcoming circumstances (ex. “10 Feet Down,” “Dreams”), his fans (ex. “Outro”), and being yourself no matter the outside pressure (ex. “Outcast,” “Know”). Most of the content you will hear on Perception sticks to his bread and butter: relationships and staying focused on his craft. If you take a listen to the entirety of the album, which I suggest, it becomes clear that there are two topics that create his most passionate songs. NF shines when he’s speaking of the close relationships in his life (ex. “Let You Down,” “You’re Special,” “3 A.M.”), but he also thrives when emotionally describing his music career (ex. “Destiny,” “One Hundred”). Whatever NF is speaking about, one thing is clear today: he has passionate and loyal fans. NF’s slogan, which has caught on with fans, is “Real Music” as a reference to the honest nature of his music. As people, we are desperate for authenticity in all areas of our lives, and NF has given his fans a place to hear just that. Most fans have a real connection to life that is messy but offers hope in the darkest places. As I mentioned above, NF’s slogan is “Real Music” and each record he has released reveals how important that slogan is to him and all his fans. His willingness and ability to communicate his struggles, past and present, has welcomed a large fan base to escape loneliness. He has spoken openly about fans telling him their darkest secrets because his music makes them feel like they’re not alone. In the midst of NF’s songs about hardships and struggles, he includes songs about being yourself and persevering through trials. He rarely has a complete emotional arch in a single song, but I prefer music that doesn’t always have a tidy bow to complete every song. It is refreshing to hear music that expresses the trial in one song, then have a song about perseverance. When we go through trials there is not always a clear explanation, so why in the world do we expect art to do that? I couldn’t choose just a few songs, so I chose six songs in three distinct categories.